What has become known as one of North America’s top Ferrari and Maserati dealerships was once just a boys dream. Born and raised in a small village south of Rome, Remo Ferri left school at the age of 14 and set out to conquer the automotive world. He started his apprenticeship working on Ferraris in 1964 in Italy. In early 1967 he moved to Canada and continued to work on the marque’s cars. His goal from the beginning had been to establish his own Ferrari dealership and, by 1976, he had reached that objective, establishing Maranello Motors which quickly became known throughout North America. As the years past and as a result of a successful business that had been built from the ground up, Remo was able to acquire several franchises including Maserati, Ferrari, Rolls Royce, Alfa Romeo, BMW and MINI to name a few. Today his empire stands tall waving banners of the world’s most refined automobiles. 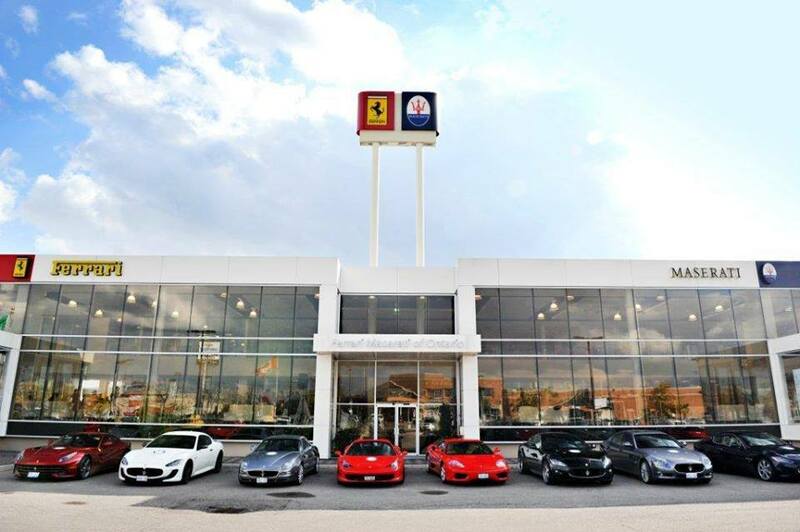 The flagship location, found in Vaughan Ontario, is the main showroom and service facility for both Ferrari and Maserati. The 90,000 square ft. building houses both brands separately, with individual showrooms, service receptions and service bays for both Ferrari and Maserati. In total, the new dealership has 26 service bays, a 15 vehicle showroom, an 8 vehicle drive through and a fully functional underground parking area for over 100 vehicles. The dealership also features a second-floor automotive gallery and specialty boutique.